Have you ever heard of a progressive dinner? It’s where you start at one person’s house for an appie… move along to another house for the salad… etc. all the way right up until the dessert? 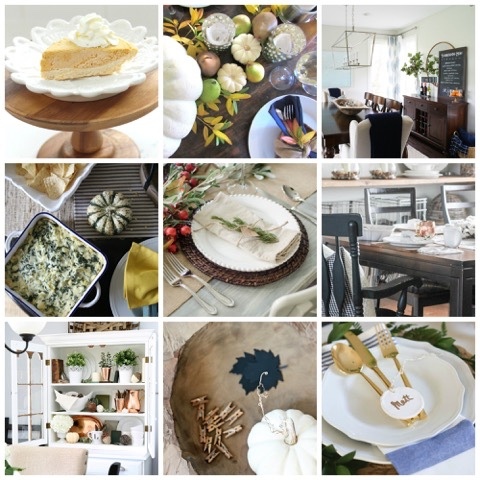 Well, some blogging friends of mine were chatting about how fun it would be to do a virtual progressive Thanksgiving dinner with each of us sharing an element – from the decor to the tablescape details and right down to the dessert. I was pretty excited to tackled the dessert for this one. And not because I am a good or experienced baker. But because I wanted to come up with a delicious dessert that everyone in our family could enjoy in consideration of their dietary needs. 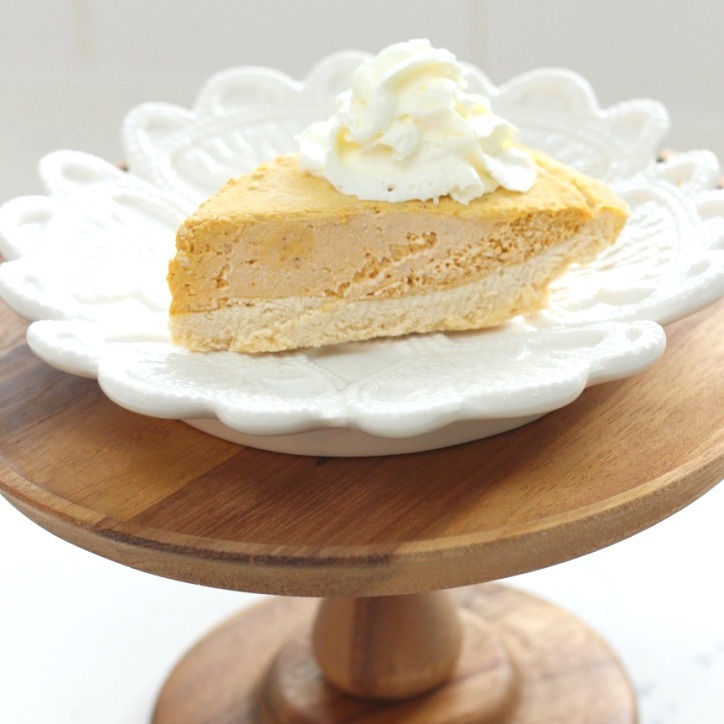 And this delicious Low-Carb Gluten Free Pumpkin Cheesecake Pie fits the bill perfectly. 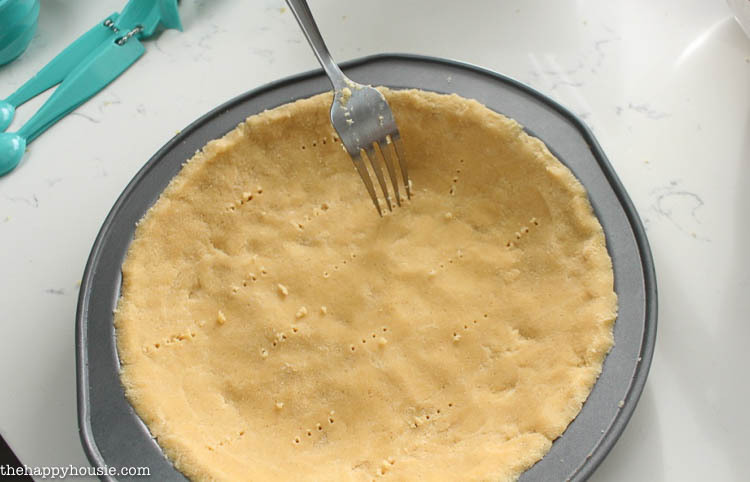 I started by making a delicious low-carb pie crust following the recipe for an ultra low-carb pie crust from Fit Living Foodies – and just adjusted my sweetener source as Xylitol rather then Stevia. Once I had pressed it as smoothly as I could I poked it with a fork several times and baked it in the over for 9 minutes at 400 degrees. 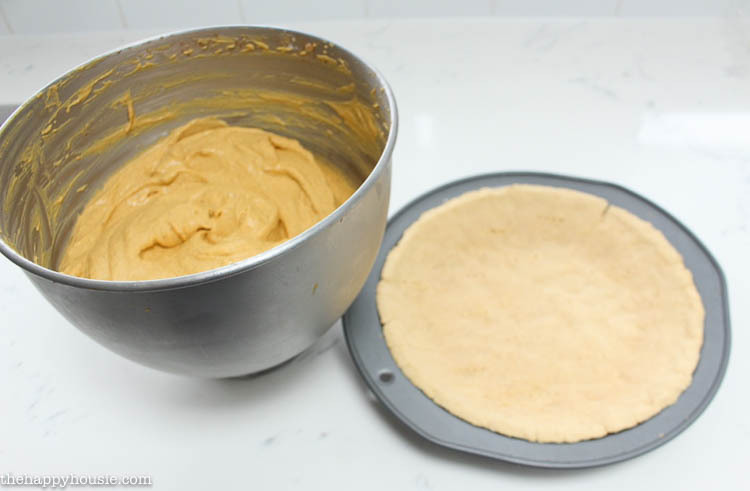 Once it had fully cooled, I placed the pie crust in the freezer so it would be nice and firm when I removed it from the pie pan. 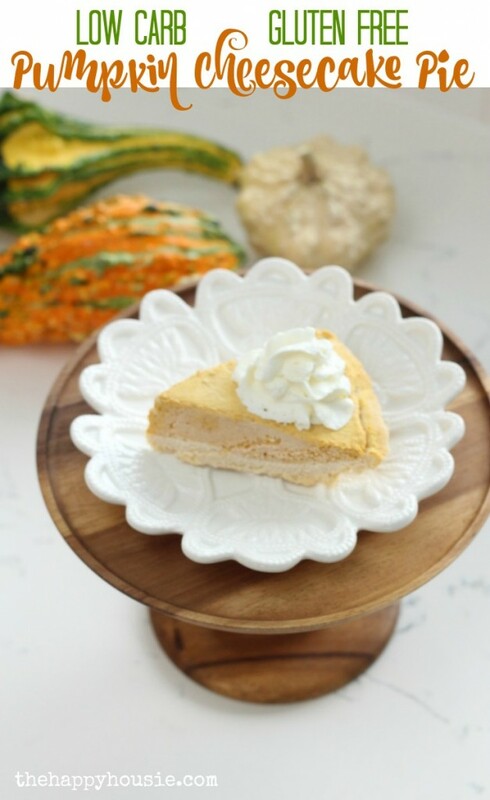 For the Pumpkin Cheesecake Mousse filling I read a few different recipes and sort of just made up my own version. That’s usually how I cook! I have discovered in the past that it doesn’t often work as well in baking, but in this case it turned out to be delicious! 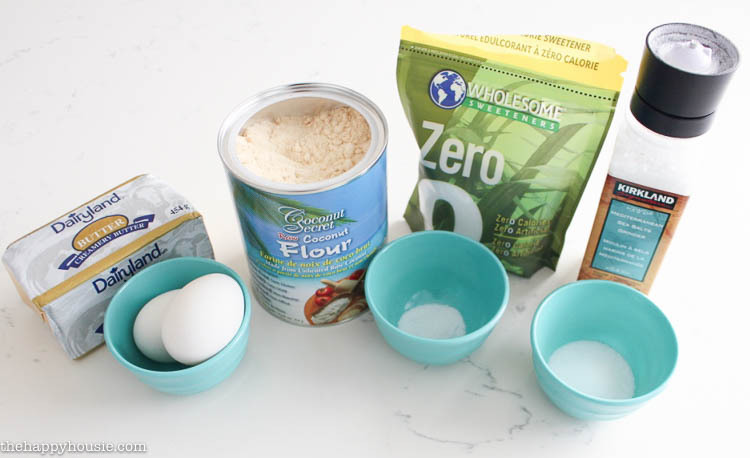 Prepare the low-carb crust as per the instructions above. 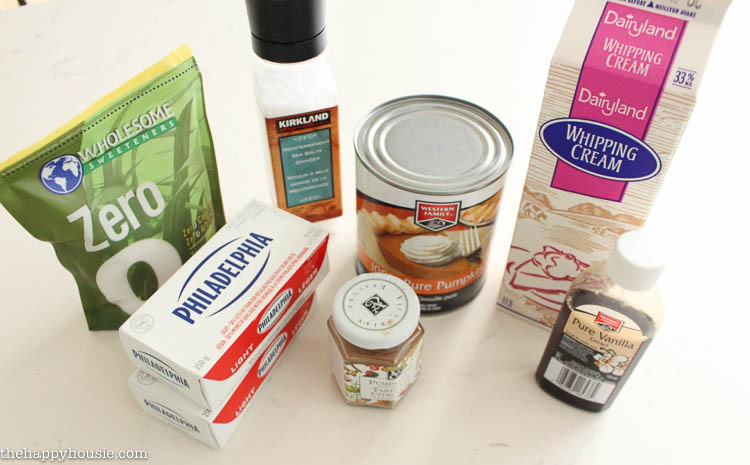 Mix the cream cheese and pumpkin until smooth using an electric mixer. 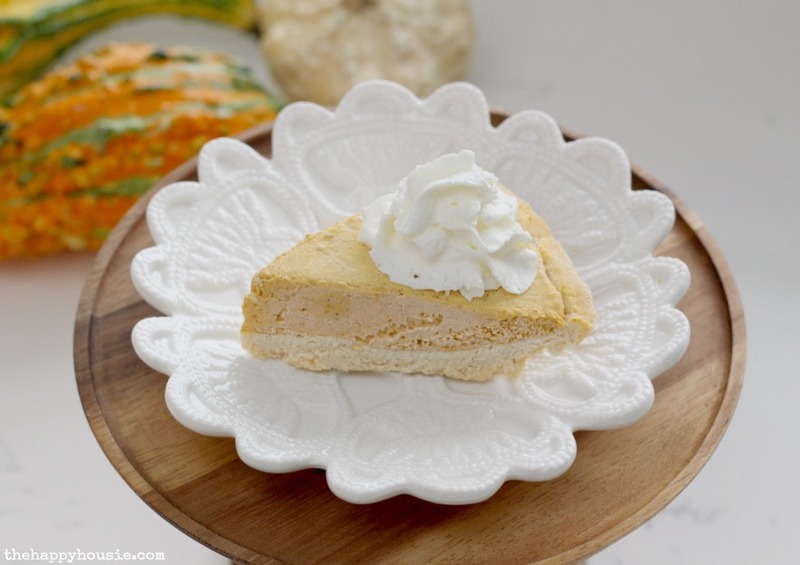 Add the whipping cream, pumpkin pie spice, vanilla, and xylitol and blend, adjusting and adding more to taste once it has been well mixed. 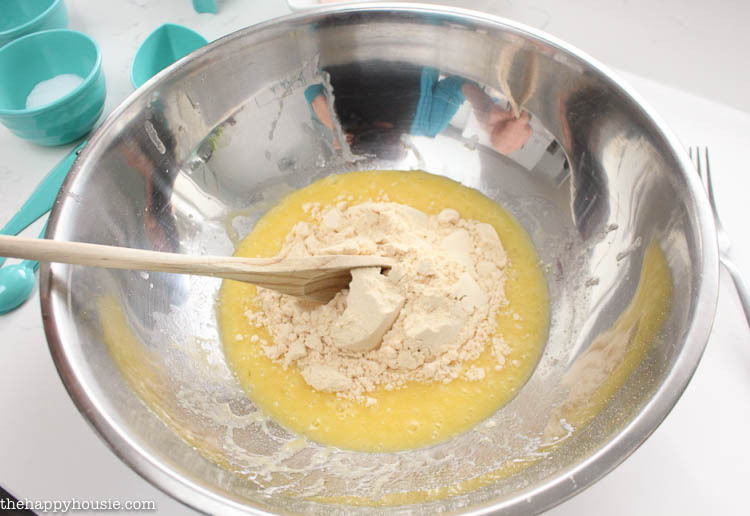 Blend for about 5 minutes, or until light and fluffy. You can substitute stevia or another low carb sweetener for xylitol if you prefer. Refrigerate until nice and cool. 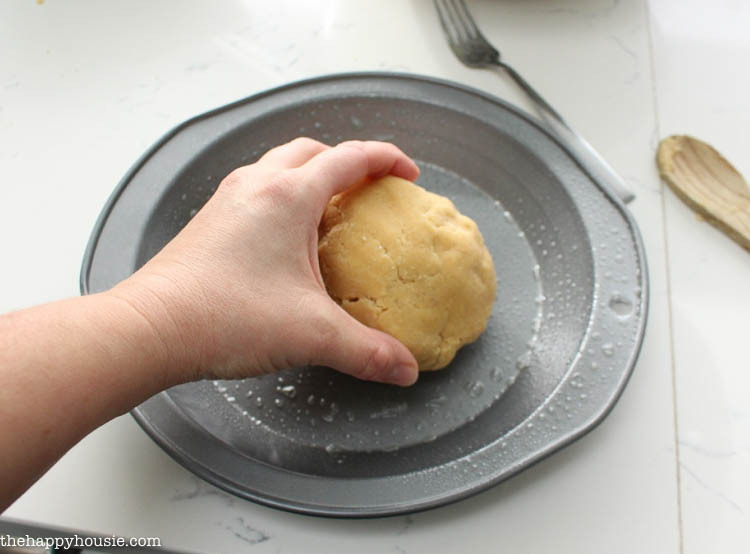 Once the pie crust is very cold, remove it from the pan and place on a beautiful serving plate. 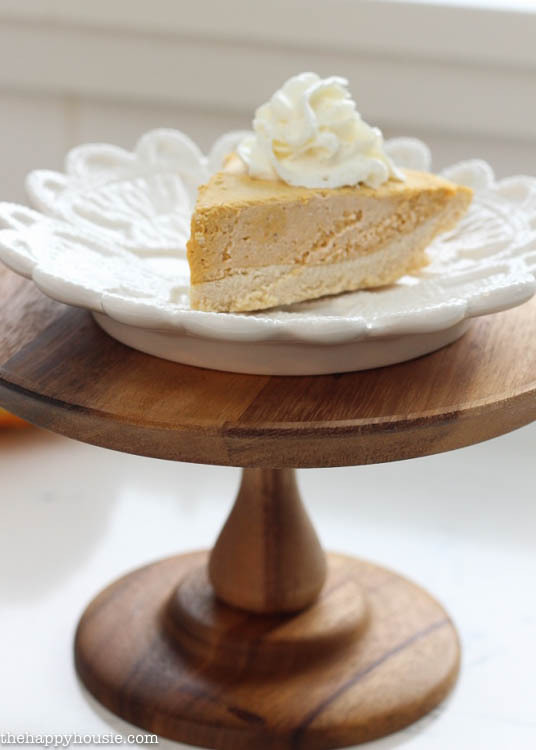 Fill the crust with your pumpkin cheesecake mix, and refrigerate until ready to serve. Upon serving, top with a dollop of whipped cream (make this using low-carb sweetener as well). 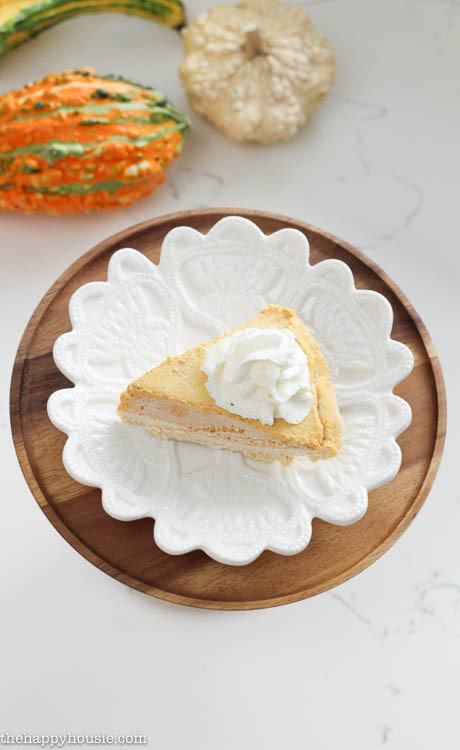 Isn’t this little snowflake plate a darling way to serve dessert for the holidays? It came as part of a set of two embossed plates from Birch Lane. And the little wooden Brea Cake display plate is my favourite new addition to our kitchen. It looks stunning mixed with my bamboo bread boards. 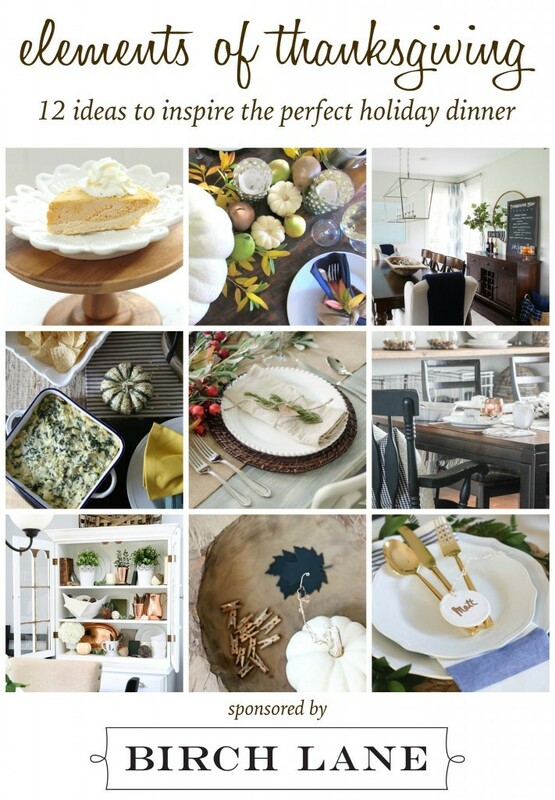 Head over to visit my blogging friends to see the rest of the Elements of this Thanksgiving progressive dinner! Disclosure: Birch Lane provided me with the beautiful products that I shared with you in this post, but all opinions, thoughts, and words are 100% my own. Thanks Aniko! It turned out delicious! I love a tasty dinner, especially with friends! This looks great, love the cake plate too! Thanks Virginia- I love the cake plate! I love love love that cake display plate! How gorgeous!!! Isn’t it beautiful?!? It is now featured on my kitchen countertops!